EghtesadOnline: The total value of traded shares in Tehran Stock Exchange amounted to 339.26 trillion rials ($2.3 billion) during the first five months of the current Iranian year (March 21-Aug. 22) to register 61.7% growth compared with last year’s corresponding period, according to the Central Bank of Iran. Traded share value reached 133.2 trillion rials ($906.12 million) during the fifth calendar month ending August 22, indicating a month-on-month increase of 58.8%. First Market trade accounted for 197.42 trillion rials ($1.34 billion) during the five-month period, up 59.1% year on year, while the worth of traded shares in the Second Market was 141.83 trillion rials ($964.87 million), up by 65.5% YOY. The number of traded shares witnessed year-on-year rise of 55.5% during the period under review to settle at 140.51 billion, according to Financial Tribune. First Market accounted for 88 billion shares, up 55.1% YOY while the Second Market shares stood at 52.48 billion to have 56.1% increase YOY. As the report showed, 325 listed companies were active during the five months which was unchanged compared with the same period last year. Value of the stock market totaled 5.23 quadrillion rials ($35.59 billion) in five months, rising by 61% YOY. 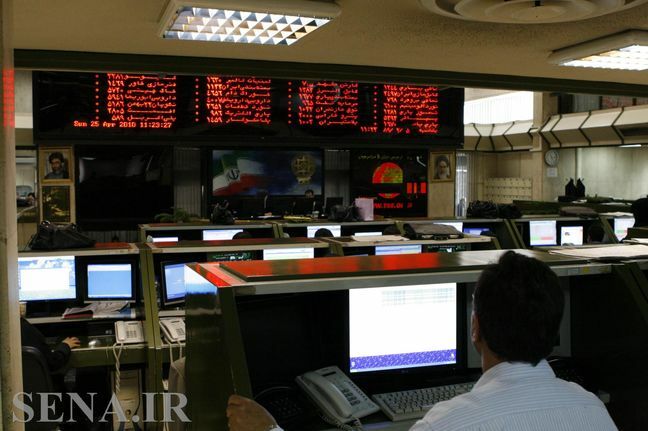 Trade at the Tehran Stock Exchange amounted to more than 85 trillion rials ($578.2 million) during the week ending October 10, registering a 3% decrease compared to the week before. This is while the TSE’s main index witnessed week-on-week decrease by 4,544 points (2%) to 181,016, reported tse.ir. The First Market index ended at 136,674, whereas the Second Market index at 344,572 to register decline by 1% and 5% respectively week over week. About 25.34 billion securities changed hands in over 1.12 deals, down by 1% and 20% respectively WOW. Meanwhile, 289 million units in exchange traded funds worth more than 2.97 trillion rials ($20.25 million) were traded; the number of units and total value each had 35% increase week over week.